We highly recommend pre-designing suggested galleries for your clients. This is where you'll do that. Saving suggestions is only available in the Designer when you are preparing for a client (when you go to Manage Client > Open Designer). In the in-person sales meeting you will save galleries to the cart rather than saving a new suggestion. 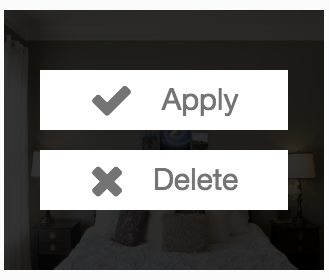 Choose "Delete". Confirm that you'd like to delete the suggestion and it will be removed. We strongly recommend that you have at least one suggestion saved before creating an online sales opportunity or doing an In-Person Sales session.